The history of the ninja remains largely a mystery to this day. The ninja were very secretive, and almost never spoke or wrote of their accomplishments, so the majority of what we now know of them is hard to document. Minamoto no Yoshitsune is one of the most well known historical examples of a ninja. 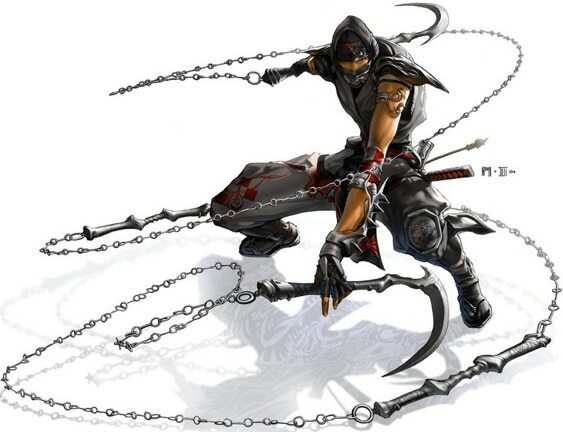 Legend said this ninja was educated by a tengu, and used surprise as the most important weapon in his arsenal. The real story is that he received his training from Chinese books including The Art of War at the hands of Buddhist monks. Togakure Ryu, which is the origin of the ninja is said to have begun in the late Heian Period. Fiction books often show two of the most famous ninja styles, Iga and Koga, as opponents. Both of these styles are said to have originated in the Heian period and in reality worked closely together to execute mutual defense pacts. We have very few extant records from the Kamakura period, one of which describes ninja tactics being used by Kusunoki Masashige against his enemies. We have even less historical evidence from the Muromachi period. During these peaceful times battles took on the form of tournaments, which left little room for the element of surprise. Bushido was beginning to form as the proper way of the samurai at this time. It was not until the Edo period was well established that bushido was finally formalized, however ninpo was not yet separated from bushido. The collection of information become of vital importance during the Sengoku Period, also known as the Warring States period, a situation that led to an increase in ninja. Ninja, or ninja like groups, served as the eyes and ears of almost all famous daimyo. It is said that some daimyo were even ninja themselves. It is widely believed that the Sanada clan were ninja, a belief supported by the fact that approximately 3,000 soldiers were able to defeat a force of 50,000 led by Tokugawa Hidetada to defend their castle. Their tactics during this battle has made them a legend. They were later to be called Sanada Ju Yushi, which can be literally translated ten heroes under Sanada. There are legends which show them able to use their ninja skills to defeat everyone except their jealous wives. The wives, of course, were also ninjas. Another famous ninja was Tokugawa Ieyasu, who ultimately rose to the rank of Shogun after controlling both Iga and Koga in unifying Japan. He was helped in his escape from the mountains by Iga ninja led by Hattori Hanzo after Oda’s assassination. The Siege of Shimabara is thought to be the last battle in which ninja fought. As the Tokugawa shogunate began to stabilize, ninja were put out of a job. Some joined the ranks of Oniwabanshu, a semi-secret band of bodyguards who eavesdropped on daimyo while they worked tending gardens of the Edo castle. Many ninja believed that they would be needed again soon and continued to pass their secret knowledge down through oral teaching. There was one ninja master, Fujibayashi Sabuji, who wrote down collections of ninja teaching. The peace of the Edo period lasted for another 200 years. Ninja moved from the battlefield to books and plays during the Edo period. These fictional accounts of ninja spoke of mystical powers such as casting spells, becoming invisible, and calling up a giant toad. There were no attempts by ninja to correct these misconceptions, perhaps in an attempt to bolster their value should their services be needed again. One of the least known accomplishments of the ninja is their development of pyrotechnic weaponry and the research of fireworks. The historical records of the ninja end toward the close of the Edo period were ninja were called upon to join delegates that met ambassadors from abroad. It is though that some of them may have been serving these ambassadors secretly.